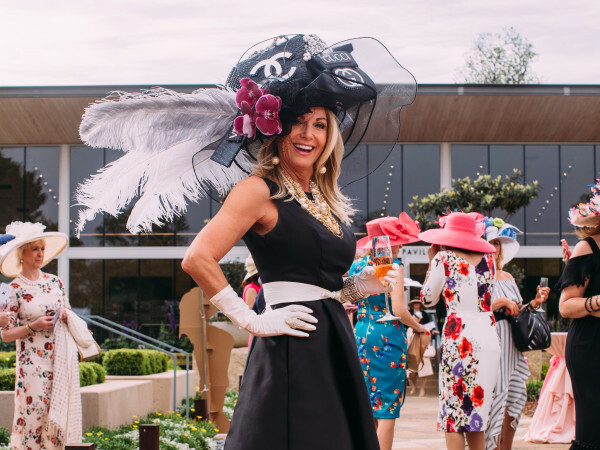 The United Way of Metropolitan Dallas is celebrating 90 years of life-changing work in our community, and there was only one logical place to hold a birthday bash: AT&T Stadium. 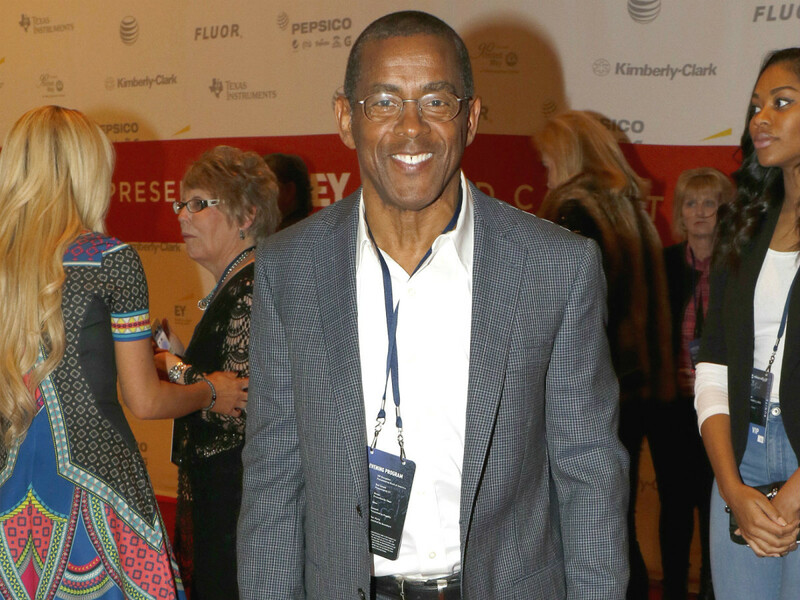 Unite Forever Gala event co-chairs Charlotte Jones Anderson and Troy Aikman pulled out all the stops to make this a party that no one in attendance​ would soon forget. Is it too early in 2015 to declare this the event of the year? For starters, two of music's biggest names, Blake Shelton and Usher, teamed up to headline the concert portion of the evening. 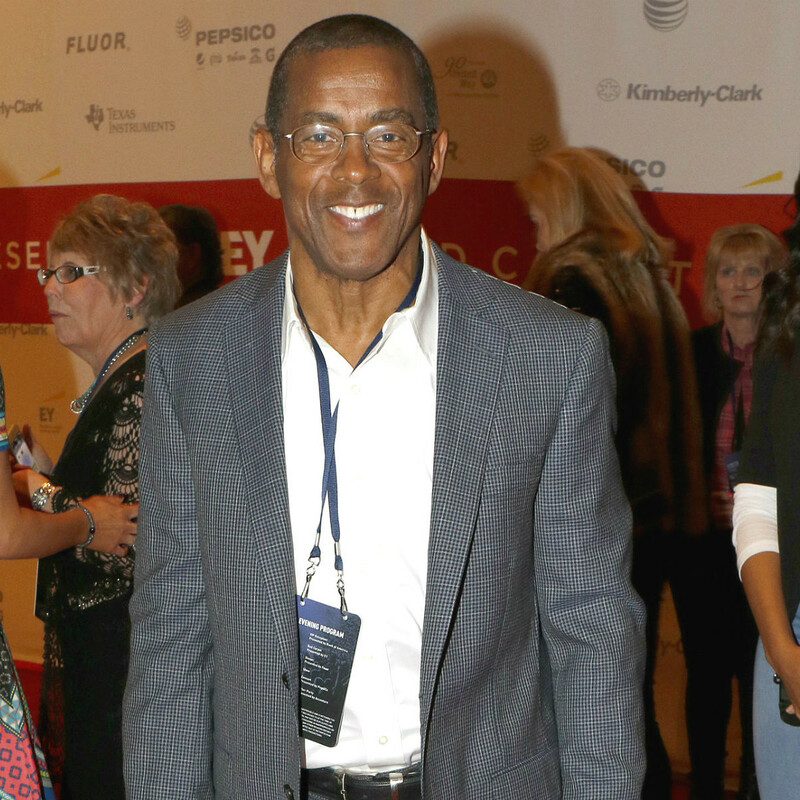 And it wouldn't be a successful event at Jerry World without a few famous Dallas Cowboys in the mix, including Roger Staubach, Darren Woodson, Emmitt Smith, Daryl Johnston, Ed "Too Tall" Jones, Preston Pearson, Tony Dorsett and Charles Haley. It's safe to say that Jones and Aikman fulfilled the dreams of every music and football fan in the stadium with this star-studded lineup. The evening kicked off with 1,400 VIPs — Gene and Jerry Jones, Nancy Rogers, Micki and Mayor Mike Rawlings, Ross Perot, Todd Fiscus, and Ruth and Ken Altshuler, to name but a few — walking the red carpet on their way to a seated dinner on the field before the performance. While they dined and nearly 20,000 concertgoers settled into their seats, United Way CEO Jennifer Sampson took the stage with the aforementioned former Cowboys and the event chairs to reminisce about the impact the United Way has had on Dallas over the last nine decades. 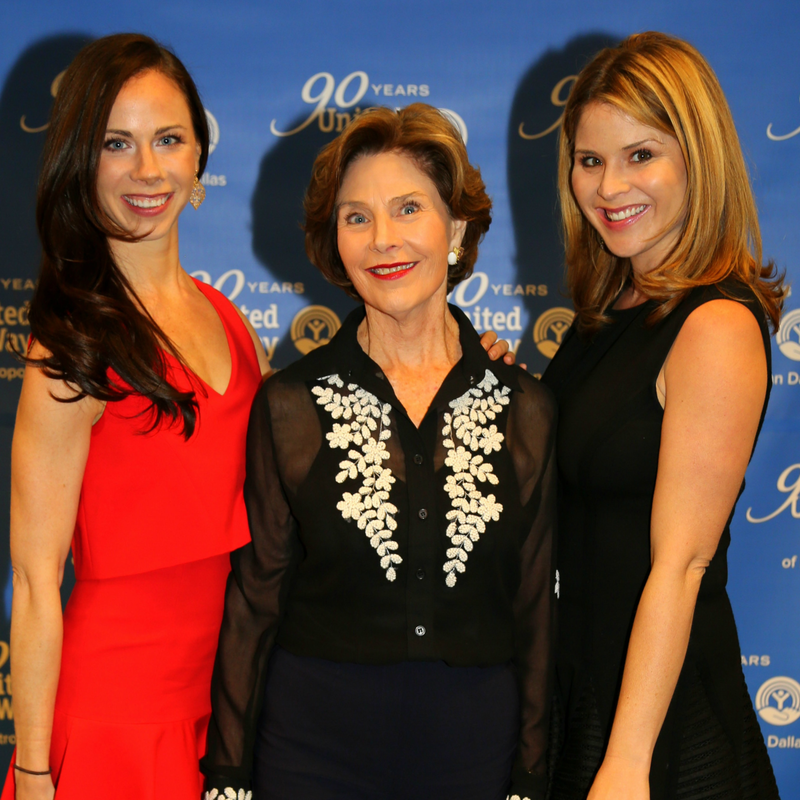 Then honorary chair and former first lady Laura Bush, joined by daughters Barbara Bush and Jenna Bush Hager, shared a funny family story: President George W. Bush nearly missed the birth of his twin girls to attend a United Way event, so his daughters can accurately claim the organization has been in their lives since birth. The Bush family then signaled that it was showtime, and the crowd erupted in cheers. Shelton charmed the crowd with hits like "All About Tonight" and "Who are You," while Usher had everyone on their feet, swaying to tunes like "Burn," "Confessions" and "DJ Got Us Falling In Love." Each artist played a full set, but the highlight came when these two Voice​ judges sang "Home" and "Little Help From My Friends" together. The concert also served as the launch for the Young Leaders Society, and YPs held their first official party in the pit closest to the stage. 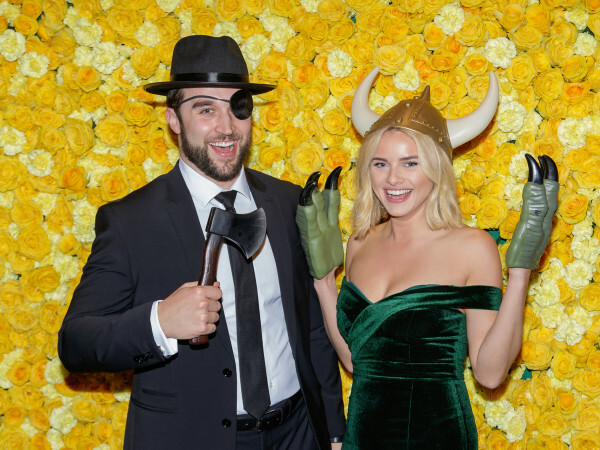 The show came to a close when United Way staff and select volunteers, along with the Dallas Cowboys Cheerleaders, hopped onstage with the guys as confetti fell from the sky. 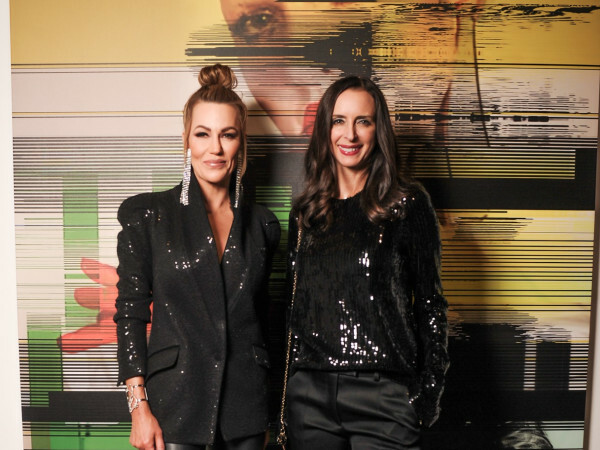 After the concert, VIPs were invited to an exclusive after-party replete with late-night bites, photo booth and a soundtrack provided by DJ Lucy Wrubel. Rumor has it that some of Usher's dancers joined guests on the dance floor to show them how to properly break it down. The United Way of Metropolitan Dallas brings people together to improve lives and create lasting change here in North Texas by focusing on education, income and health. The organization raises, invests and leverages more than $50 million annually in community-focused solutions serving Dallas, Collin, Rockwall and southern Denton counties.